Since the beginning of the year, I've held a second job working as a part-time cashier for Lowe's. This is my first job in this type of retail environment. My mother has worked at Target for over decade, and what I'm about to say as held true for her as well. Most states, if not all, have some sort of law requiring employers to pay their employees 1.5 times their pay for overtime. Most states stipulate that overtime is any thing over 40 hours a week. Other states look at it daily, and require anything over 8 hours be paid as overtime. Here's why these laws hurt works, and are inconsistent. Both Lowe's and Target do a very good job at keeping their employees from working anywhere too close to 40 hours. And one of the ways they do this is by hiring more employees, and diluting everyone's hours. I hear it all the time from upper management, "Are you near 40 hours? ", "Don't hit 40 hours", etc. I submit that it's the overtime laws that do this to employees. Why else would an employer care if an employee worked over 40 hours a week, or 8 hours a day? What they do is hire more part-time positions, and use 2 employees to cover 20-30 hours a week each. The law is hurting the would be full-time employee with it's requirement of time and half. Consider also, the law doesn't apply from an employee stand point. With my full-time and part-time jobs, I work anywhere from 60-70 hours a week. I choose to do this. If the law required my second employer to pay me time and half, I probably wouldn't be working there. I need these hours, and am thankful they're available to me. Others like me have to work two jobs, with their commutes and inconsistent scheduling, in order to get the hours they need. 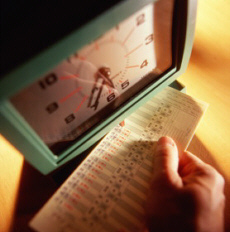 Time to let employers decide their own overtime rules, and compete for employees.